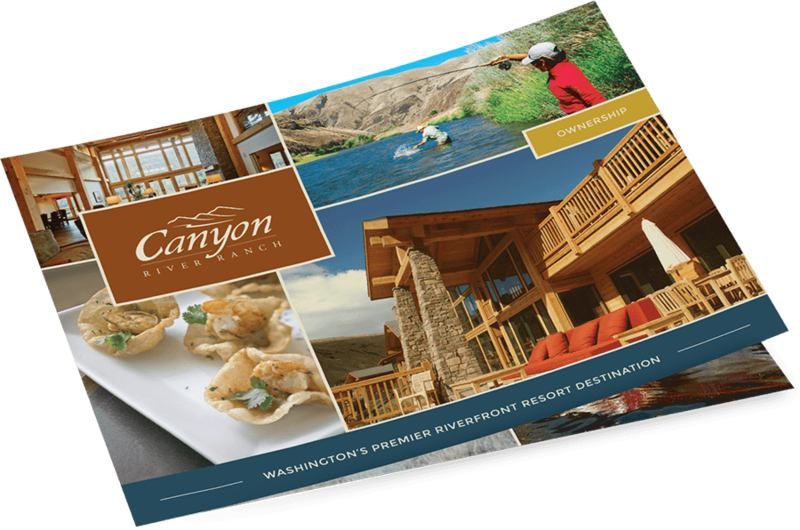 Located in the scenic Yakima River Canyon, The Canyon River Ranch is a luxury lodge and resort. 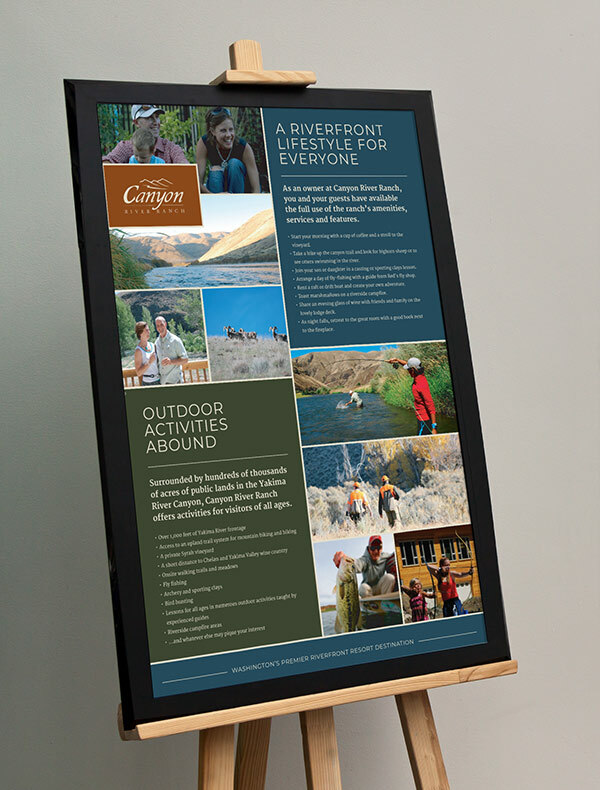 From exceptional fly fishing to beautifully designed accommodations, Canyon River Ranch is a premier destination for natural beauty and family adventure. 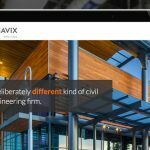 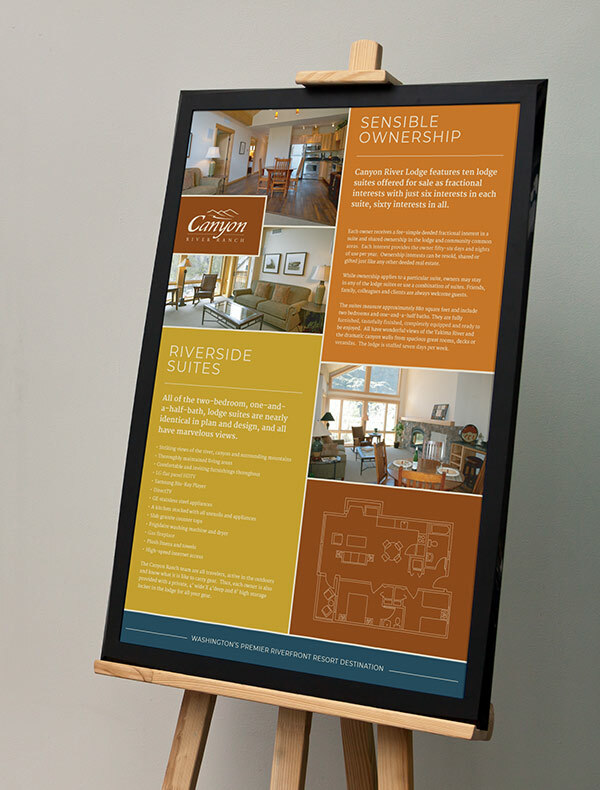 In partnership with Parsons + Co, we developed new marketing materials to assist in selling fractional interests of suites in the Canyon River Lodge. 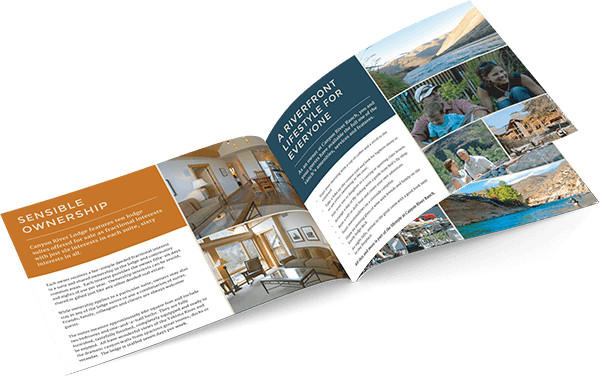 We designed a new ownership brochure that showcases the riverfront lifestyle and outdoor activities that define the resort, and developed branded storyboard signs to engage on-site visitors.